I once heard a friend say, "I went into the other room to mix my formula bottle for my baby so that so-and-so wouldn't look and judge me." I once heard a friend say, "Even though I exclusively pumped, I wanted to shout everytime that I fed my baby a bottle in public that THIS IS BREASTMILK, NOT FORMULA!" I once heard a friend say while getting out her formula, "I'm embarrassed, but I'm feeding formula, you guys." Feeding our babies is such A THING. And now that I'm a formula feeder, I totally get it. It's amazing how quickly we moms can beat ourselves up with what we've done wrong and how we're to blame for x, y, and z. We're such suckers for guilt and shame. For example, when I was initially experiencing my nursing issues with Nova, the blame went straight to me. It's not working because I got an epidural instead of having her naturally like I had Duke. It's not working because I started doing too much too quickly after having her. It's not working because I wasn't feeding her enough. None of these were true. I don't believe natural births equal perfect nursing experiences. I don't believe recovering quickly, doing dishes, and tending to a toddler create nursing issues. And I certainly don't believe I wasn't feeding her enough, my gracious! Letting all of that go was really hard, but really necessary. I just got to the place where I am 100% content with feeding formula to my baby girl. (Remember - not because I'm against formula, but because I wanted so badly to nurse.) It's starting to feel good and normal. If you've followed along with this story, you know that all of the nursing complications were on Nova's end. Something that was supposed to be easy for me turned into something that I had to fight for. I'm all about pushing through hard things because I believe hard things turn out to be some of the best things. I even like to work hard for things. I like feeling crazy exhausted and getting to the end of something and having my reward. But there was a very evident theme of "No matter what you do, you can't make things happen" going on with Nova's entrance into this world. It started with being overdue. And again with the birth. And again with the nursing. While it was hard breastfeeding Duke for a year, it was a wonderful thing. I wasn't in nursing bliss every day of my life for that year, but there were precious moments that I'll never forget. Obviously, breast is best and I will advocate for breastfeeding all the day long. I will encourage anyone and everyone to at least try it and give it their darndest. BUT. When you feel like you're no longer sane, breast needs to be okay with second place. Breast is only best if you can keep your sanity, too. However, it didn't feel like that at first. Putting formula in my cart at the store was really hard in the beginning. Not only was it a reminder that I wasn't nursing Nova, but that I wasn't giving my baby "the best." Pre-Nova, my response to, "I tried nursing, but she just wouldn't latch/I didn't have enough milk/it just wasn't working/etc.," was wrong. Of course, I would've never said it, but I'd silently think, you probably just didn't try hard enough. Ugh. It gives me the heebee jeebies just typing that out. Why? Because I tried all the things to try besides surgery to Nova's mouth. Every blasted option was exhausted. Someone thinking I just didn't try hard enough would be offensive, hurtful, and probably fill me with rage. I am the prime example of a stubborn-do-whatever-it-takes-to-achieve-a-goal kind of person. And I'm telling you: Sometimes it doesn't matter how determined you are. Some people just can't nurse their babies and no amount of determination will change that. But "being able to nurse" and "not being able to nurse" aren't the only categories of mothers out there. 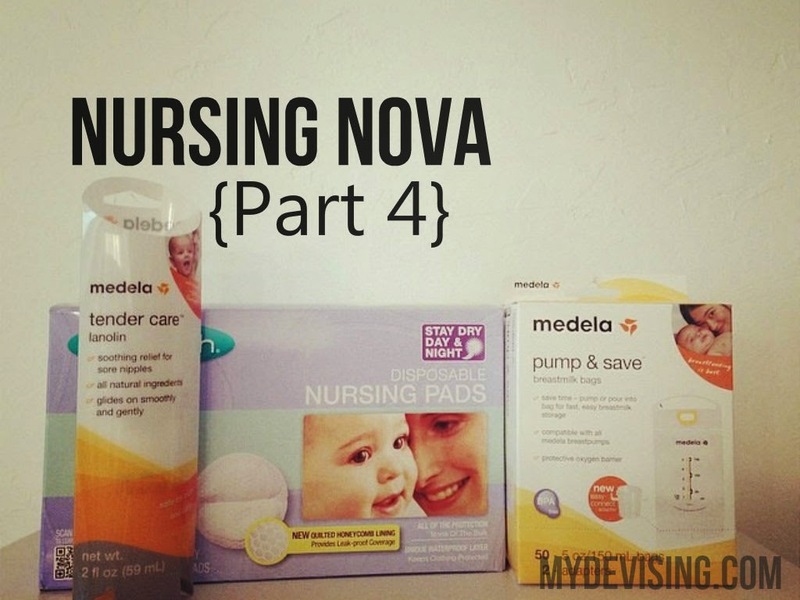 Thanks to Nova (and I really do mean that), I got experience with all three feeding methods - nursing, pumping exclusively, and feeding formula. Some people who nurse want to nurse because they absolutely love having their baby right there any time they want for however long they want. Some people who nurse don't actually like nursing, but they want the benefits of breastmilk for their baby. Some other people only nurse because it costs zero money. Some people who nurse love it for all the reasons and wish they could nurse forever. Some people who pump just aren't into the idea of breastfeeding. Some people who pump would rather have the option of other people feeding the baby. Yes, they're tied to the pump - but they'd rather be tied to that than the baby. Some people who pump tried every blasted thing possible to get their baby to nurse, but the baby just couldn't get the swing of it. Some people who use formula had an extremely hard time with their milk supply/nursing/etc., and always worrying about their baby's weight gain wasn't worth it. Some people who use formula just genuinely prefer the convenience of anybody anywhere feeding their baby. Some people who use formula never wanted to breastfeed in the first place. This list of reasons is not exhaustive and could go on. Bottom line: we're all different and we're all OKAY. While I do believe that breast is best, I know that it's not always an option or a desire. When it comes to feeding, to each his own. We can all agree that babies should be loved and fed, which is really the only issue worth fighting for. How we feed them isn't. Just want to say again that I really enjoyed all the posts about nursing. So relatable, and even though it has been two years since I went through all of that last, I remember being embarrassed when I gave my son formula, and I remember feeling judged. I remember hiding it in the grocery cart as I wore my baby in the Ergo, because if you believe in baby wearing, you are also supposed to believe in breast feeding... and I did, but I couldn't So anyhow, thanks for sharing everything. It's always nice to hear that other people struggle too. So, I went to OBU (I'm a few years younger than you) and someone from my grade posted this link. Just wanted to say thank you for writing about your story with Nova. This was my experience, almost EXACTLY, with my son. It was so awful, and rarely do I hear of anyone who had anything similar happen to them. 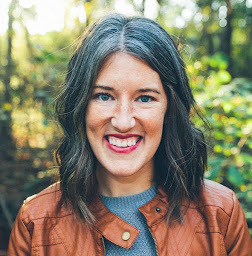 I supplemented with the tube and syringe for 6 weeks straight (I cried at almost every feeding) and then pumped for another month before my husband said, "Nope, we're done." I felt guilty about it for so long, because like you said, formula feeding has a stigma associated with it, which is really unfortunate. I think as a first time mom you are especially sensitive to that kind of stuff. I remember hearing someone in passing saying something about moms who give formula are lazy, and I about flew out of my seat!! I'm sorry this had to happen to you. However, it sounds like your experience has given you some great perspective, which I'm sure you'll be able to use to help comfort someone else who is pulling their hair out. Looking back, I think breastfeeding had definitely become an idol, and I got to the point where my whole life was consumed by it...stopping was the right thing to do. I felt like once we were done, I stepped out of the fog and really saw my baby for the first time.